The Ford Capri as driven by Del Trotter in Only Fools and Horses, and Queen lead singer Freddie Mercury's Rolls-Royce Silver Shadow are two of the more interesting 'celebrity' cars on offer by Coys at this weekend's Autosport International auction. Although motoring the main star of Only Fools and Horses was the iconic yellow three-wheel Reliant Supervan, many of the later episodes extensively featured this Ford Capri Mk3. And it is the actual car that starred in the show - with the first appearance was in the 1991 episode 'He Ain't Heavy He's My Uncle'. 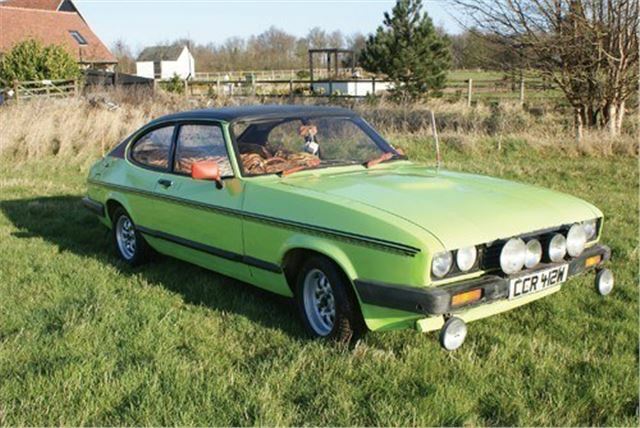 This 1980 Capri comes with a letter of authenticity and is exactly as it was when in the Television series - with tiger fur interior and pink aerials with the garish green paintwork exactly as it was. The present owner purchased the car in 1998 from MGM Cars Ltd of Elstree Studios - allegedly for £400 - and has stored the car ever since. It's ready to go with MoT, and Coys is estimating £24,000-28,000! The other star car of the sale is Freddie Mercury's 1974 Rolls-Royce Silver Shadow. It was bought in 1979 by Freddie Mercury's company Goose Productions, and was used by Freddie's company until his death in 1991. It comes with a letter in the car's file directly from Jim Beach, the long-time manager of Queen and its individual members, confirming WLX 293M's authenticity. From 1991, the car was then borrowed from the Estate by Freddie's sister and was last used for the Premier of We will Rock you, and has covered minimal mileage since. It comes with a short MoT as well as a thick history file containing various bills and receipts. Described by Coys as 'being in good to fine and original general condition', it's a Shadow with an interesting history - and one for more affluent Queen fans. It will be interesting to see what 'celebrity tax' these two achieve on the day. More cars from the sale can be seen in our Coys auction preview.